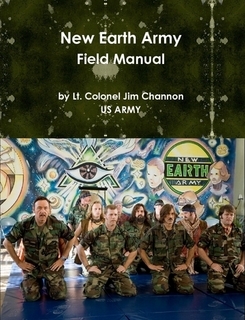 of the New Earth Army as part of the US Department of the Army, Pentagon and Army War College Think Tank. Jeff Bridges (center) stars in Overture Films’ THE MEN WHO STARE AT GOATS. 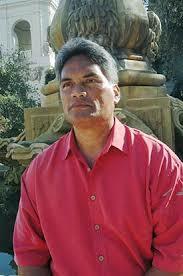 Ali`i nui mō`ī Edmund K. Silva, Jr. Colonel Channon has dedicated his life to having as his first allegiance: “Service to the Earth”. ….I tread upon tools that will require you stretch in opposite directions. WHILE ACTIVELY ENGAGING IN YOUR MOST DESIRABLE LIFE OUTSIDE . bring you a heavenly presence. the wind makes their leaves into an orchestra of sweet rushing sounds. The details of aquiring these abilities fortunately of are not difficult, it just means you will need more instruments on your flight control panel. Its like adding applications to your laptop ….you need to see them to select them. Social architecture examines the potential lifeforce available when cultivating the surrounding world that deserves to be developed in the most loving way. The qualities of love can be created with nature and she will give them back in the form of a energizing fields of atmosphere and energizing quantities of food and a wide range of beauty that feeds the soul. This, in the end, produces a peaceful culture of human beings. So, how we design the most potent combination of the natural world around us can bring peace to the world and a vibrant fullness of being that passes all understanding. Hopefully it will usher in new levels of paradise you can experience so you can create the world you want away from that world of continuous challenge and dreary returns. We currently are fixated on the notion that if some disaster befalls us all we must first of all have food in a garden nearby. The image that appears after that often is the mental image of a tractor based farm. Then the food problem seems like way too much to tackle and we retreat into dispair. Thankfully some creative folk with an integral framework have selected a way more spectacular option where the food is blended inside a flower garden on a divine country homestead inside a botanical oasis way more playfull than Sherwood forest. It is really just delightful landscaping! Yes, paradise is just an intelligent landscaping job! THINK ABOUT IT? The advanced designs for land include PLAY and PEACE in addition to PLENTY. This is the dream of LIFEFORCE LIVING and something we always dreamed of doing anyway. Get enough land to make this real in your life! HAVING A LIFE and feeling it NOW in everyway possible! To enjoy a lifeforce generating landscape you need a better educated set of sensing skills. Build a NEW set of awareness levels that allow for the grand experience possible when you attend to many levels of life on planet earth. These inputs from smell, touch, warmth, sounds, tastes, and visual beauty AND MORE need not just be isolated moments, but infact function as a delicious COMBINED FEELING STATE when ALSO mentally calculating the best path forward and seeking to execute a series of co-ordinated actions. Enter the biopsychic zone when mingling inside an insanely active designer forest where the trees know you were the one who gave them life! If you haven’t experienced FULL CONTACT yet …you are in for a treat. ADVANCED VISUAL LANGUAGE: We are taught to write and speak with a set of rules like syntax. But, art is generally not taught with so many limits. Move up to imagery like “MAPPING” that includes seven plus dimensional communications levels that distinguish many qualities and ideas at the same time. We teach you to use combinations of cartoons ,icons, symbols, color etc to make simple but rich maps of your more integral intentions. This is especially useful when trying to engage a number of people in co-creating a botanical oasis or green footprint for almost any kind of use. We now use graphic recorders in the business world who use cartoon language to highlight ideas and connections mentioned during a meeting …our AVL is several steps past that tool set. CULTURECRAFT: Culture is not normally considered as something that can be planned and then constructed. But, consider a modern sports team and their fan base AS A COMMUNITY WITH A COMMON CULTURE. These communities are often created from scratch as teams begin in a new city and a team without a name. So the creators give the team a name, followed by a meme that often includes an animal totem. Then colors are decided and an action style logo becomes a brand! You get the idea ? So… if you follow the branding trail and then create a look or costume … the process continues. So, if you want to create a new culture in a place … you start over with the name of the place etc. The Dallas Cowboys! The culture begins. The behavior of the group that surrounds the new adventure is then shaped by another series of features that may include music, a mascot, a favorite saying or challenge. This culture shaping and designer identity can be provided for any kind of community of interest that wants to engage in a new kind of world. There are fifty plus artifacts of culture we can create with. Note: Very old cultures have dozens of these deeply programmed ideas that become manners or behaviors. Japan has a nine year old culture and the old cultural obligations seem to rivet the meetings of people into very tight sets of behavior whenever they engage. Some combinations are very valuable …others get in the way of new possibilities. All older cultures conform in selected historical ways. The point is …if you are creating a new culture for some specific reasons, notice the cultural artifacts that are available to either reinforce or dininish the behavior you seek. FULL EXPRESSION STORYTELLING Todays business culture has fallen prey to the concept that presenting information with accuracy is the only way to communicate. Therefore, CONTENT TRUMPS ENERGY. We therefore, slowly energetically slip away in our seats, while someone’s mouthing pure content. We barely experience their tiny lips facing mostly away from us while they read their notes at a slower speed than we viewers can read. Then, if that isn’t disconnected enough, they show us they’re decidely impotent backside. How could such a cultural practice have been allowed to continue? Talking heads are a culture that has destroyed so much of our waking lives. It began in school where content that was to be tested later so it was presented simply as content! What an emotional and energetic disaster. In our course you will see a twelve dimensional story teller at work. Energy and animated behavior are a must! There’s more. PROTO-MYTHOLOGY It has been extolled that the truth will set you free. So we listen to stories about outdated solutions (history) as if they will then create students who can be alive to the future! Pardon me while I choke on that logic. As advertisers know …THE BEST STORY WINS! Athletes know that PREVISUALIZING a high jump before taking the jump allows the neural pathways to practice before the attempt is made. People who don’t pre-visualize a better future don’t generally get one. The brain has not been tasked to alert you when the vision appears! Brains are great at that. We will combine imagination, visual language, and full expression story-telling to help you as a leader take your culture to the next level. Children imagine new possibilities in the midst of the last “lets pretend” invitation. No wonder our imagination goes to hell during schools that teach us how to be grown-up and speak soberly about known entities. As a social architect you must energetically and visually pull your clients into their most potent vision that creates lifeforce for all concerned. The hero’s journey has always been the archtypical adventure that got us to the next world … now we need to FEEL IT ALL while we journey forth. and place your social invention into the best possible form. Almost all adventures are lead by a pied piper of sorts. This is the chance to help lead us to the Century we are capable of. Thanks you Major David Lakota for your excellent compendium …pls post to my site. Jim Channon cmdg.